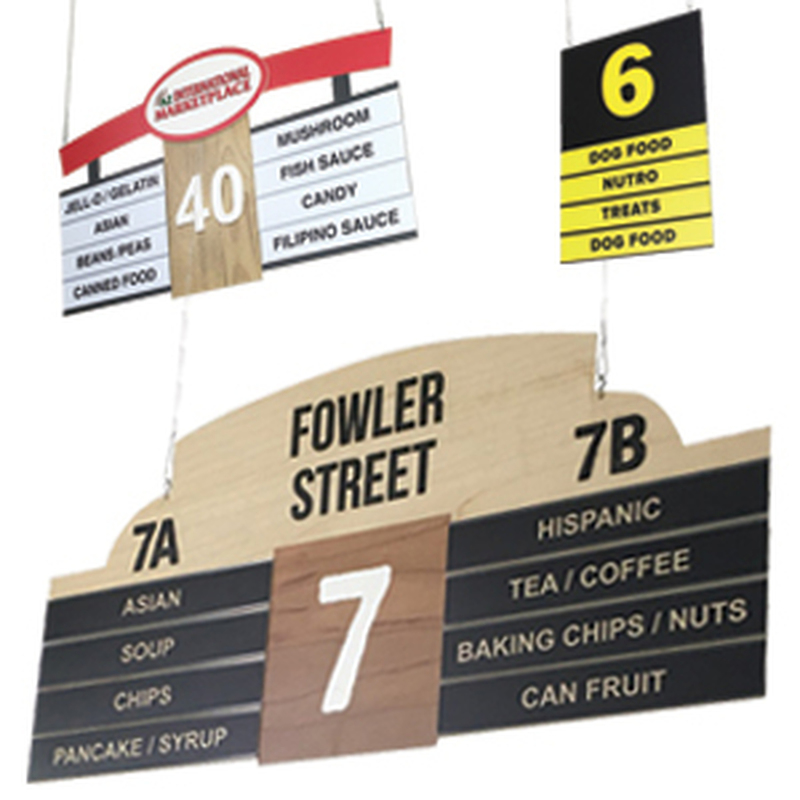 Clever design of this wooden produce display fixture will add a vintage farmers market look to your produce department! 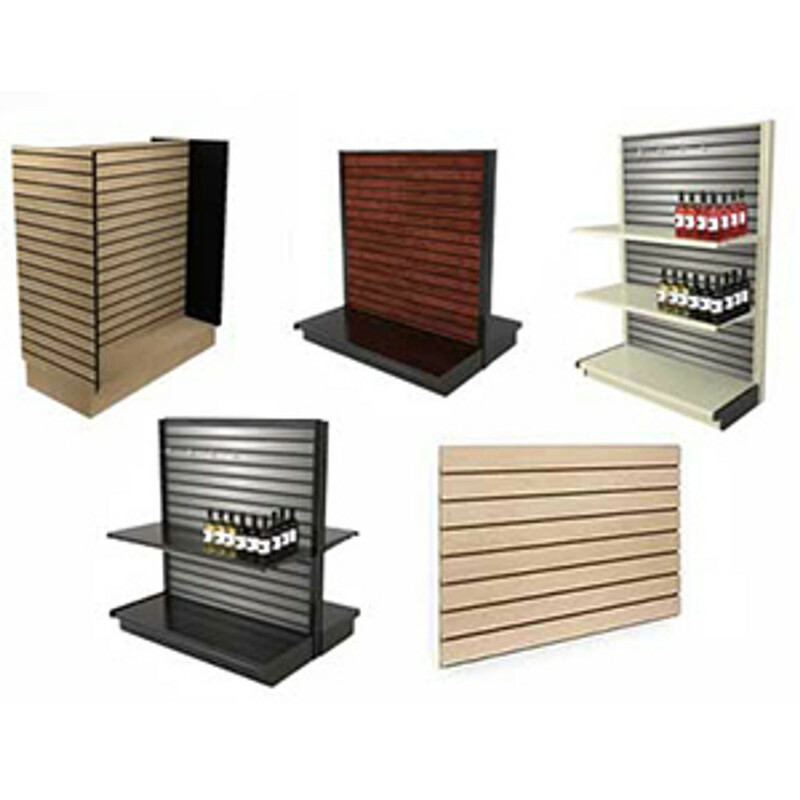 Steel display with included wooden trim panels. 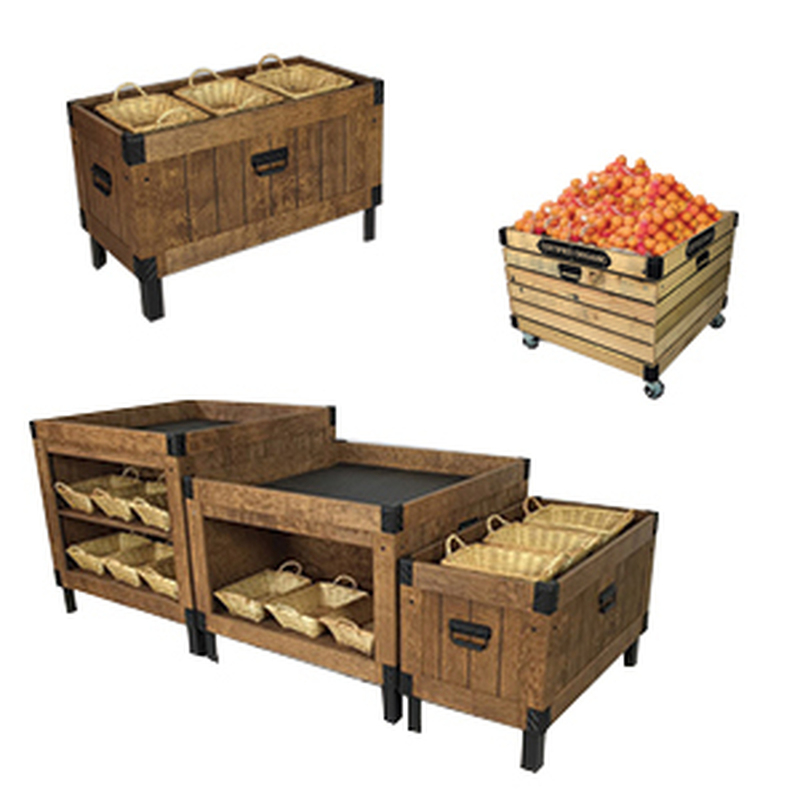 Choose from over 30 different wood stain colors for this produce display unit. Shown in Golden Oak. 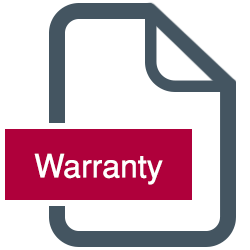 Adjustable table legs extend height 27" to 33"H for the perfect display height. 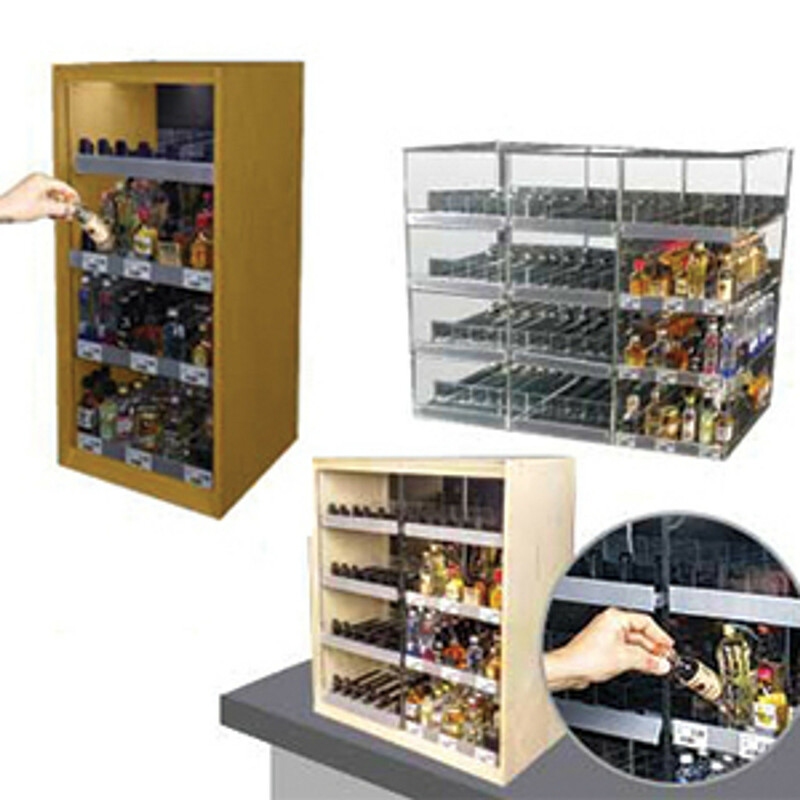 Locking heavy-duty casters for easy display mobility. 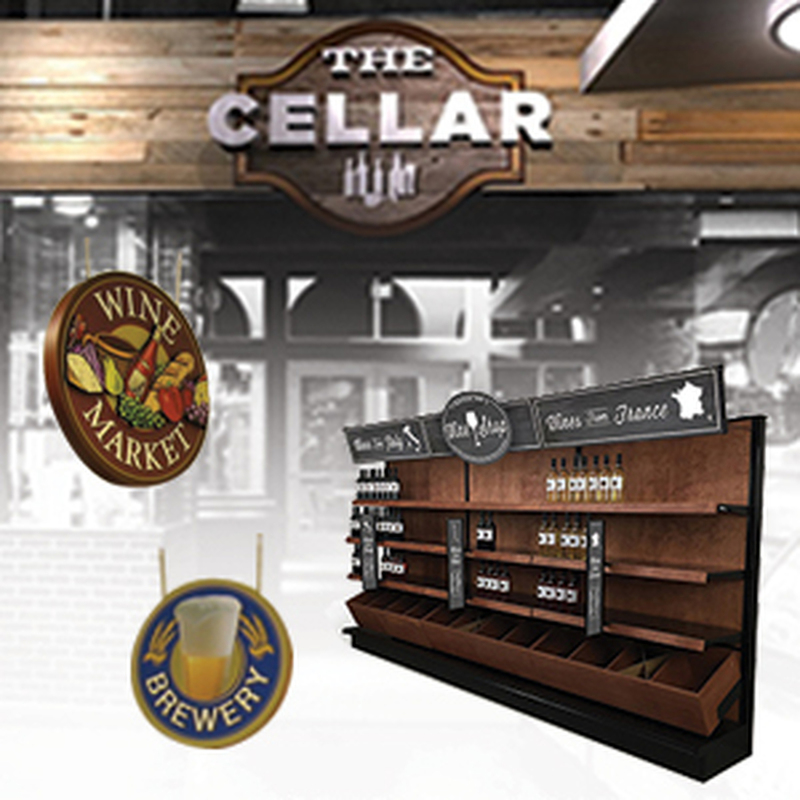 Angle display tabletop from flat to 20, 30 or 40 degrees - great display visibility! 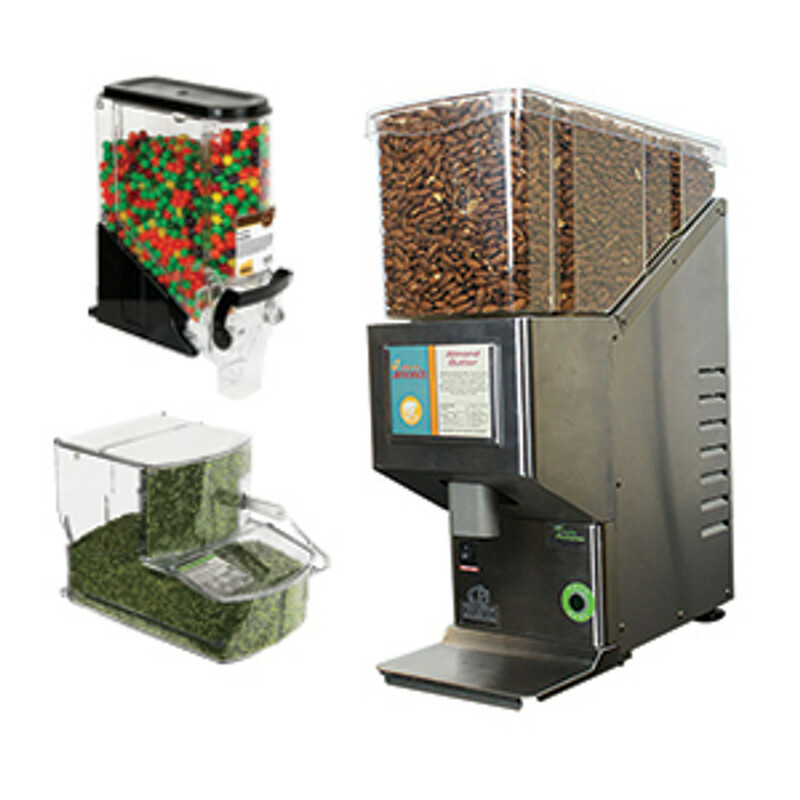 Includes washable black plastic tabletop panel. 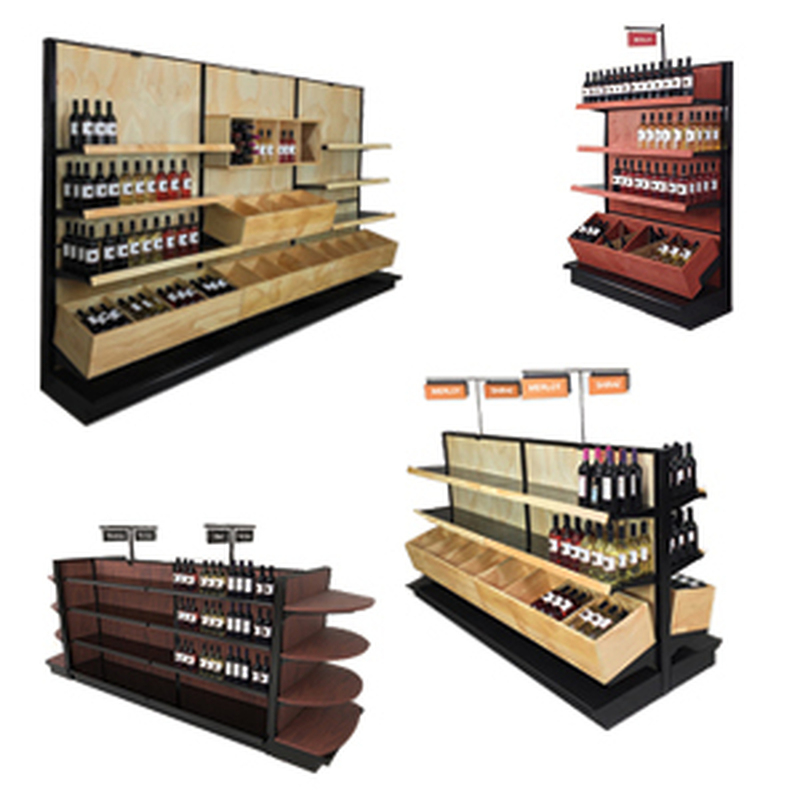 Click here to see more models of Produce Tables - get the right solution for your store! 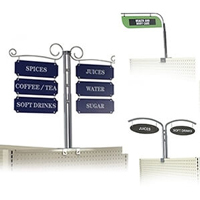 Add available retail header sign holder - advertise your produce assortment! 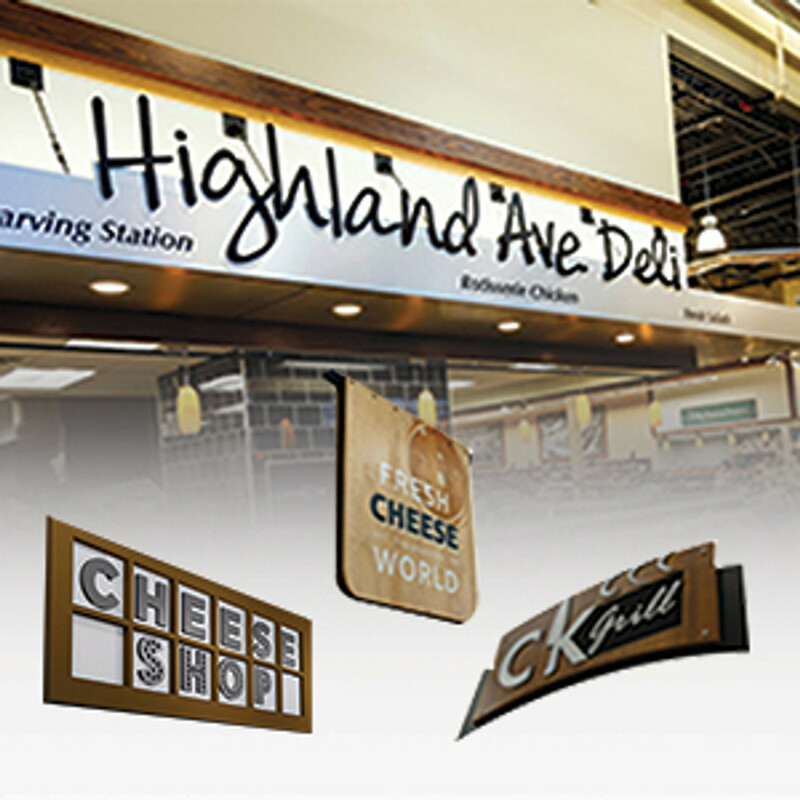 Whether your retail store is large or small, part of a chain or an independent grocery store - DGS Retail has many produce display rack ideas to choose from. 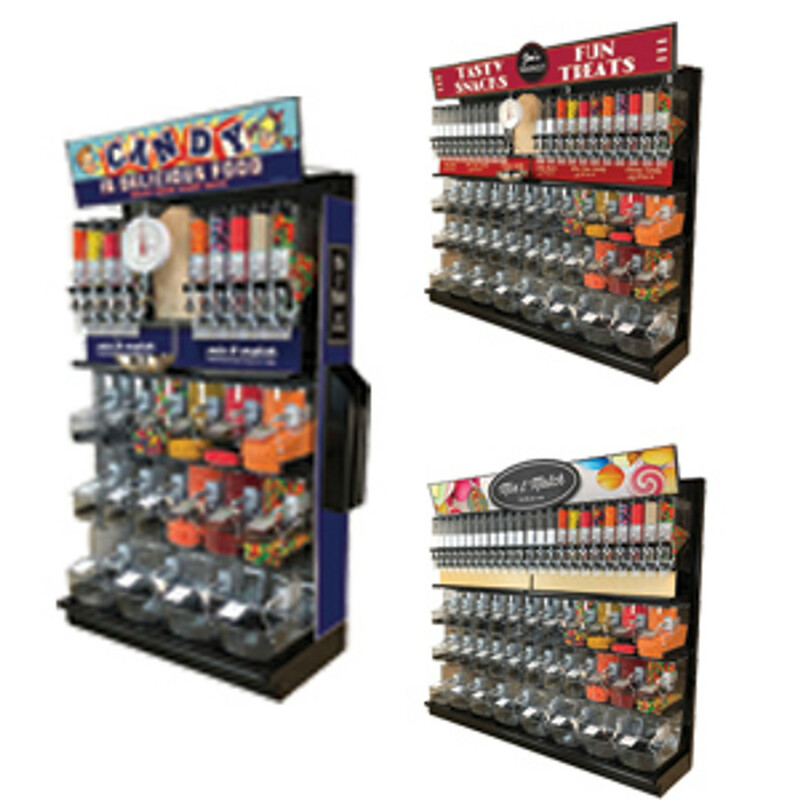 Healthy snacks are a desirable part of the dining habits of today's consumers. 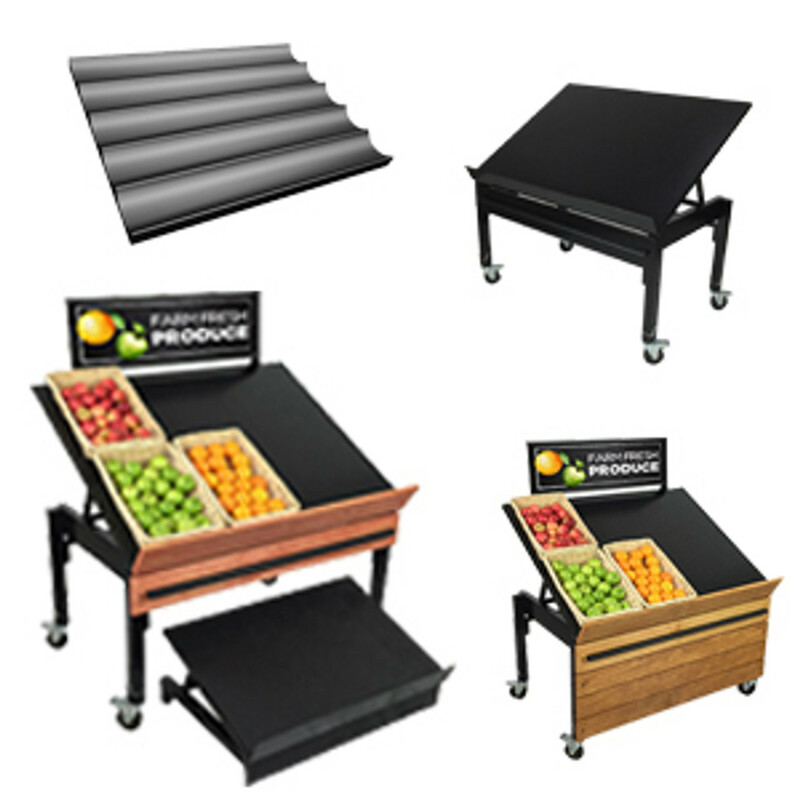 Let your shoppers know that you're in the produce business with this stunning Braeburn produce table. Often referred to as a eurotable or euro table since the design was first used at French farmers markets in the 1930's. 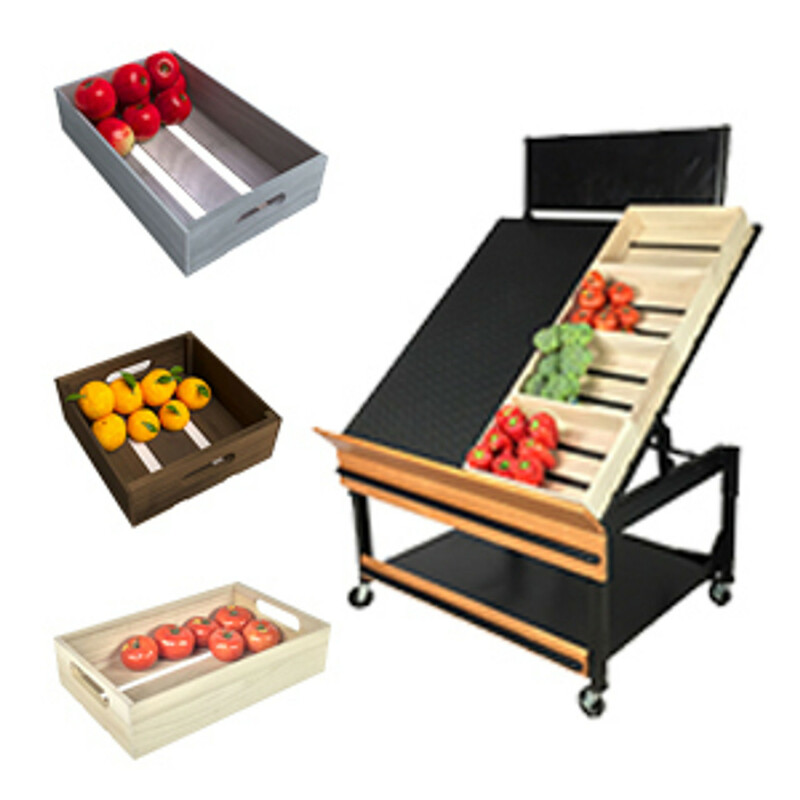 This display features a very modular and functional design that can be adjusted to display your fresh produce in a variety of positions. The table is an ideal way to display any of the following items; mangoes, apples, bell peppers, avocados, jicama, eggplants, grapefruits, cantaloupes, papayas, peaches, potatoes, onions, tomatoes, oranges, bananas and more! 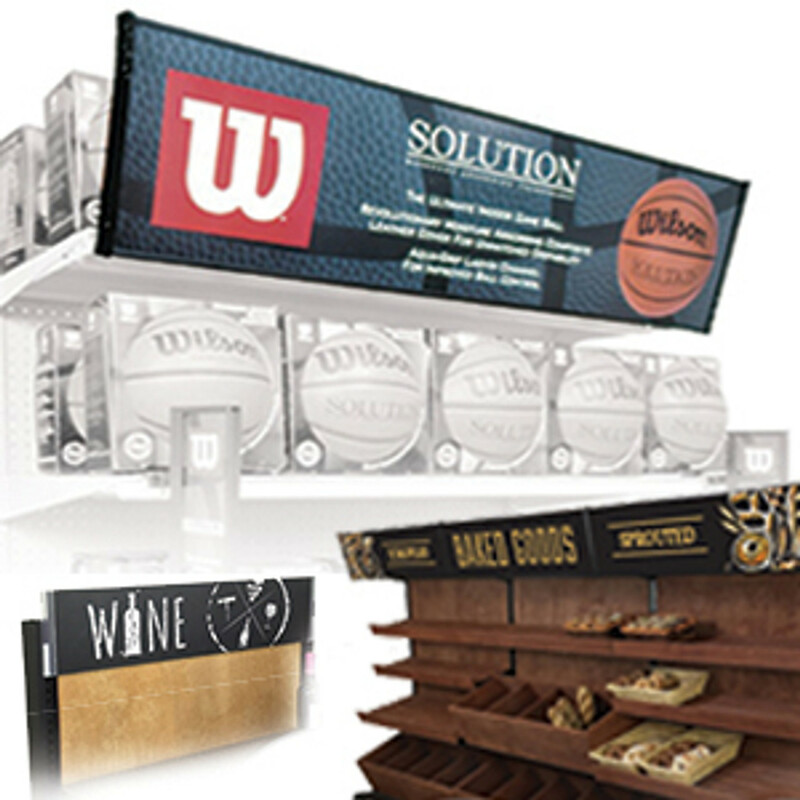 Using the unique features of this table you can design large or small produce displays with beautiful visual merchandising appeal. This display has a wooden 3-slat lower skirt. 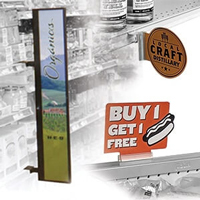 Add advertising to the available retail sign holder header to promote your fresh fruits and vegetables. 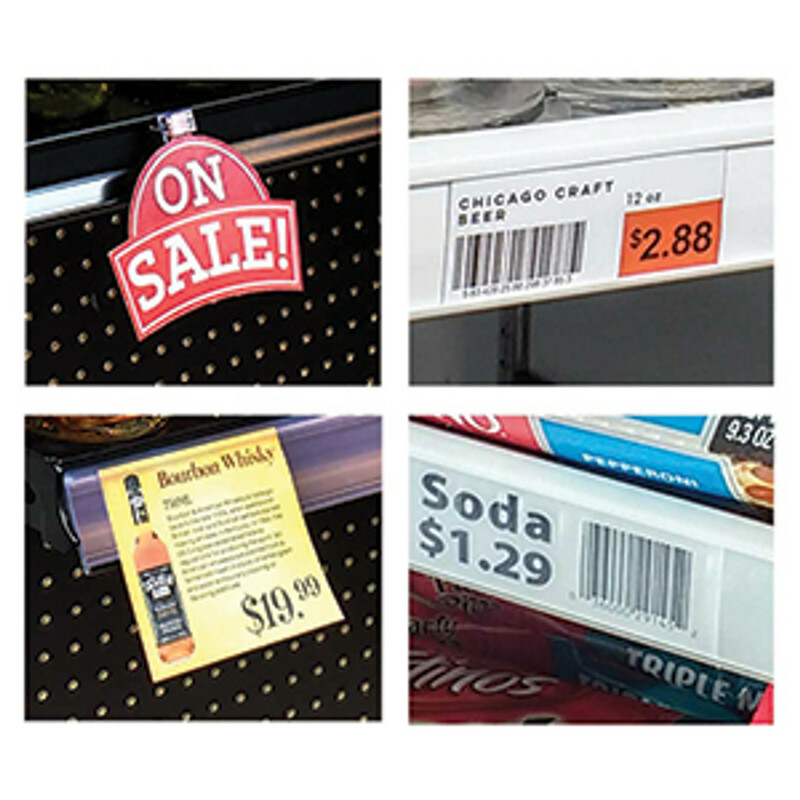 You can display your chalkboard messages on both sides so that you can position the produce racks back to back or in an island aisle configuration. 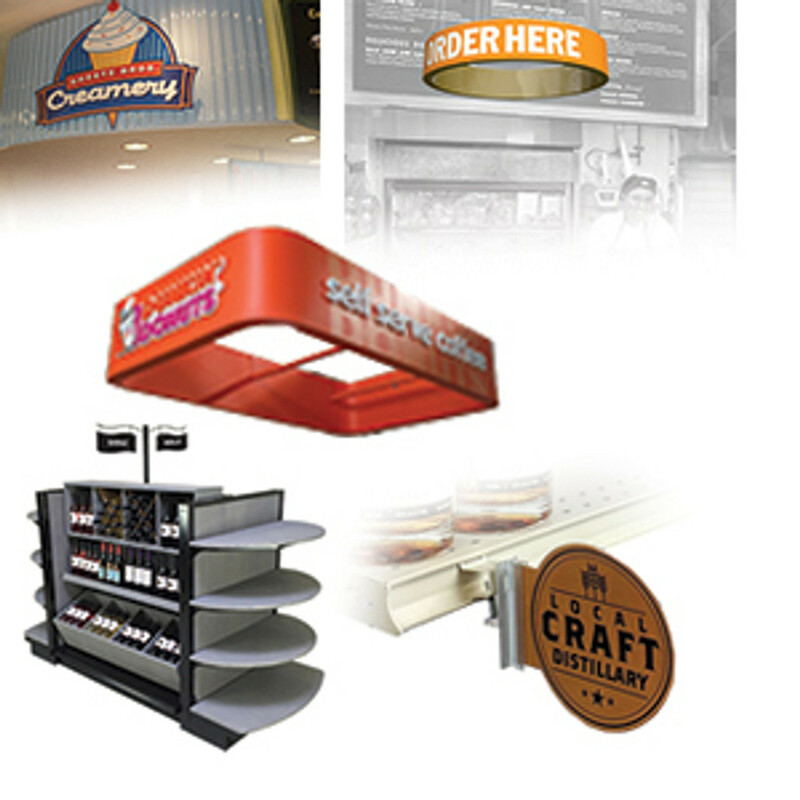 The retail header is 36"W x 11"H. Add your own printed signs or have DGS Retail supply a custom printed sign for you. The front of this supermarket produce display is closed off by the wood slat skirt panel. It is stained the same color as the rest of the display for a more finished look. This panel also features an included rubber bumper that helps to protect the display from damage against shopping cart hits. DGS Retail will stain the wood options available with this table at no additional charge. 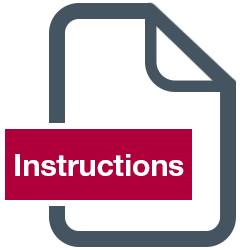 Click here to see the DGS Retail Wood Stain Color Guide. 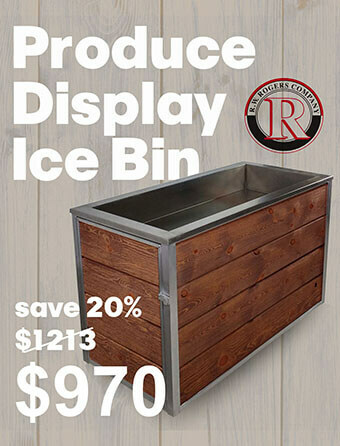 The tabletop on this display measures 48"W x 36"D. This wood store fixture is completely adjustable. 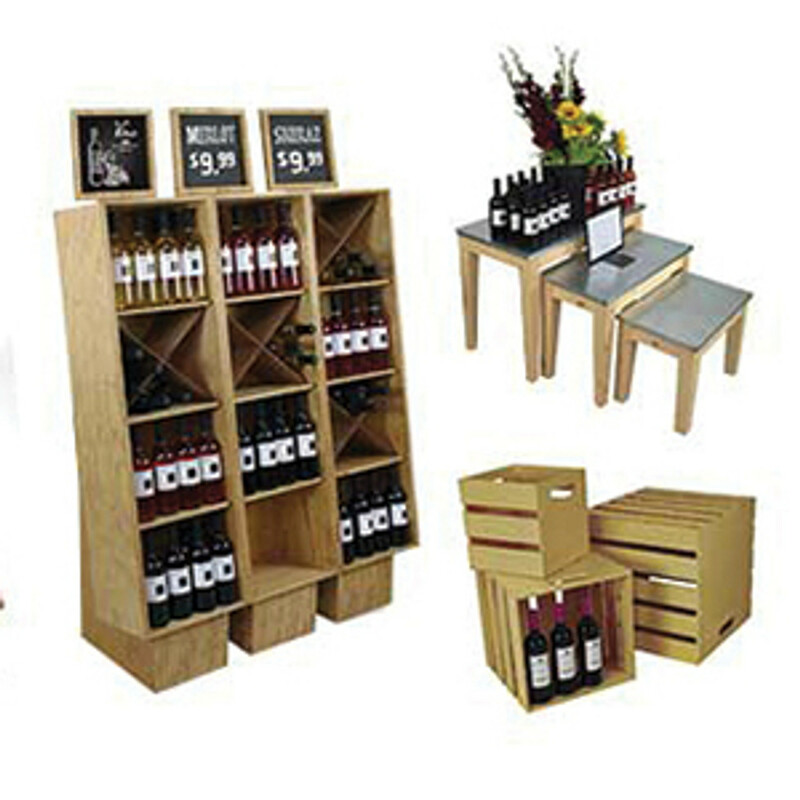 The angled tabletop can be tilted from flat to a 20, 30 or 40 degree angle for maximum produce merchandising flexibility. 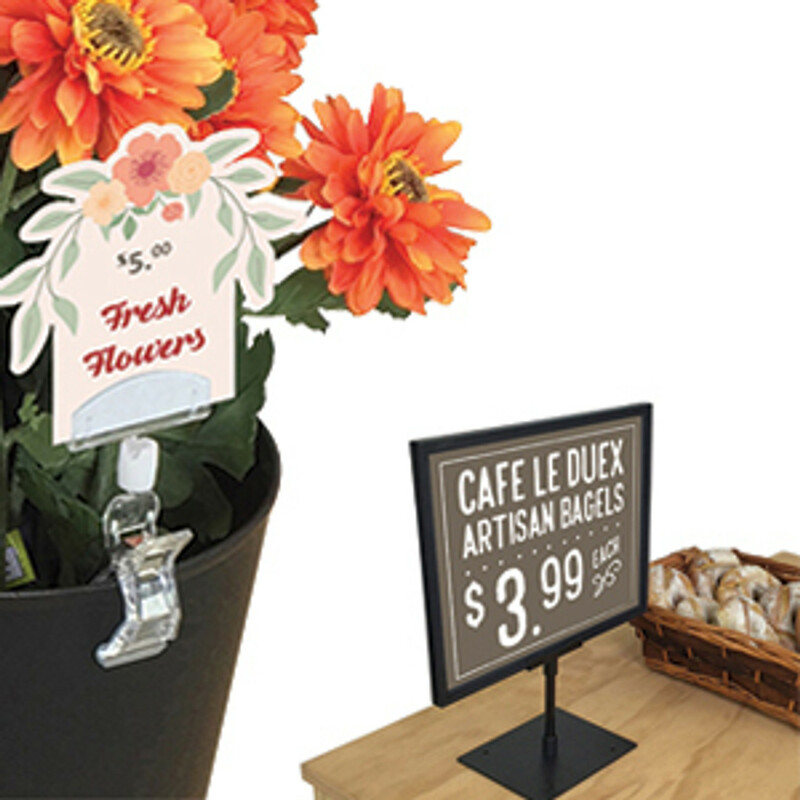 The table legs extend so that you can adjust the height of the produce display from 27" to 33" high. There are four 4" diameter locking casters. The structure is 100% steel with a baked on polyester black finish for a long life. When stocking the produce table or euro table grocers generally follow the "first in first out" method and place new produce at the front of the rack and the older stuff more towards the top. Be sure not to stack delicate fruits by any more than two items high to minimize bruising. 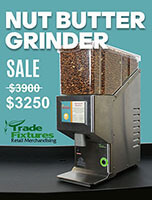 Consider rotating your stock frequently for best results. 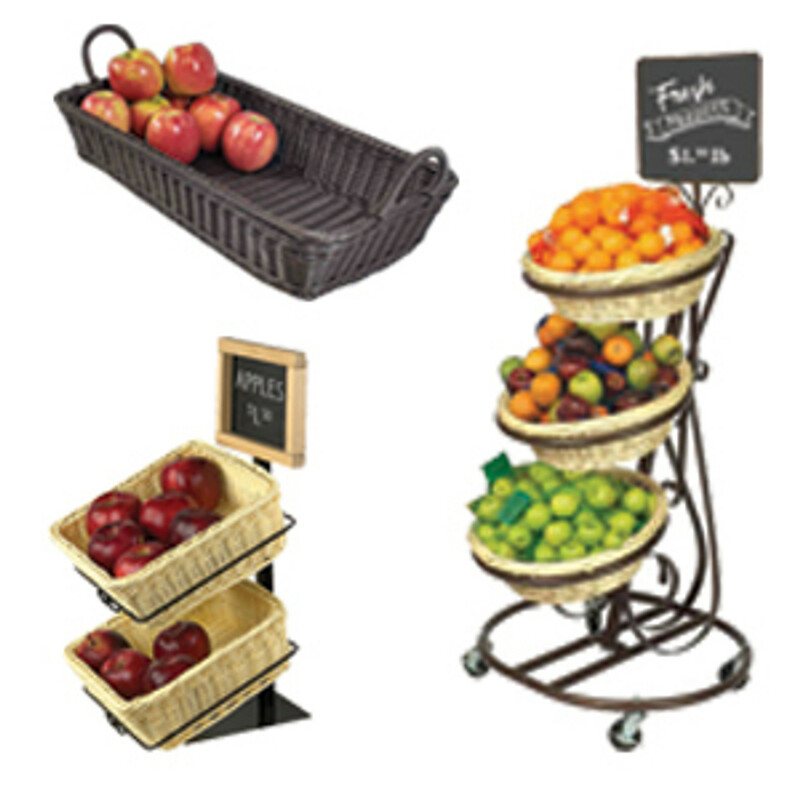 For more produce display ideas contact a DGS Retail fruit and veggy specialist today!